I talked a few weeks ago that Mum loved her garden. I noticed this morning that one of Mum’s rose trees had flowered. A pretty yellow colour. 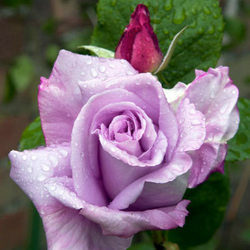 Somewhere in the collection of Mum’s plants is a Blue Moon Rose, which was her favourite. I can not see any obvious signs of which rose it might be, well that was until I visited this site to see what a Blue Moon actually looked like. So, armed with a vision of what a Blue Moon looks like I have a potential candidate in the garden and now have to wait….patiently, for the deep pink buds to flower. Fingers crossed it is blue!